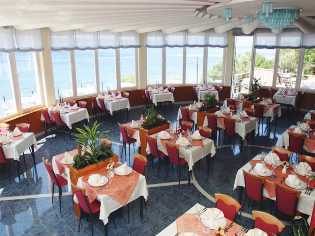 Hotel Marina is located in a quiet location beside the sea, between Crikvenica and Selce. 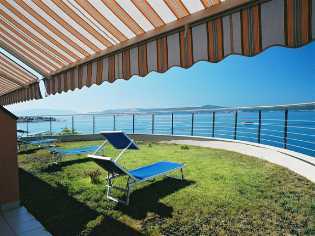 Crikvenica is located within 20 minutes walking distance and Selce within 10 minutes. The seaside promenade beside which the hotel is located is also appropriate for recreational skating and bike riding. Guest car parking facilities are monitored by video surveillance. The foyer is characterized by modern design and spaciousness. Here the reception area and aperitif bar blend with perfection. This area is appropriate for day-by-day relaxation and pleasurable socializing. The size and shape of the hotel restaurant combined with quality service provides both pension and a la carte guests a rich choice of cuisine. The restaurant provides a delightful view to the sea, a view that you can enjoy from the semi circular terrace during warm summer days. Areas of the restaurant can be separated upon request for groups who require privacy. An enclosed heated sea water swimming pool and café bar with outdoor terrace can be found within the Hotel Marina complex. Beside the swimming pool guests will also find a luggage office, private amenities block, sauna, fitness center, and children's play area. 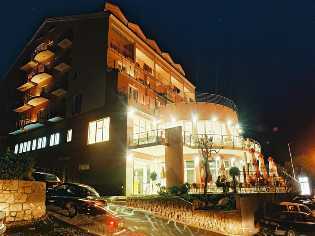 The hotel was recently constructed (launched on 10 June 2003). 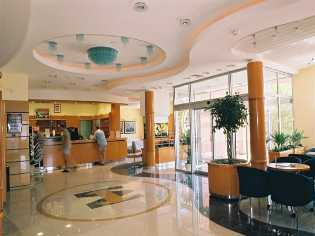 It contains 50 units of accommodation (44 rooms and 6 apartments for 2-3 people) integrated into an intelligent hotel system, which is managed from the reception desk. Certain rooms are specially adapted for accommodation of handicapped persons. Spaciousness and décor of rooms guarantees a sense of leisure. A sun terrace with a large lawn area is located on the first floor connecting three rooms. Each of the rooms has its own sun lounges. 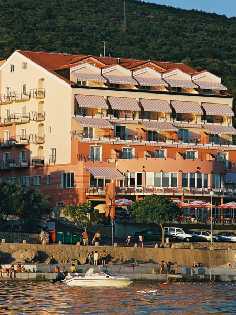 All of the remaining rooms and apartments have balconies, most with a view to the sea. Rooms are equipped with telephone, air conditioning, sat TV, direct Internet connection, safe and mini bar. All amenities become functional upon entering the room. In the same way, all amenities shut down upon removal of access cards. All bathrooms contain a bathtub and inbuilt shower with massager, toiletries, as well as hair dryer. per person per day 02.01.-30.03.